Lunch Daily: Monday thru Sunday: 11:30am - 2:00pm. Dinner Everyday: Monday thru Sunday: 4:30pm - 10:30pm. 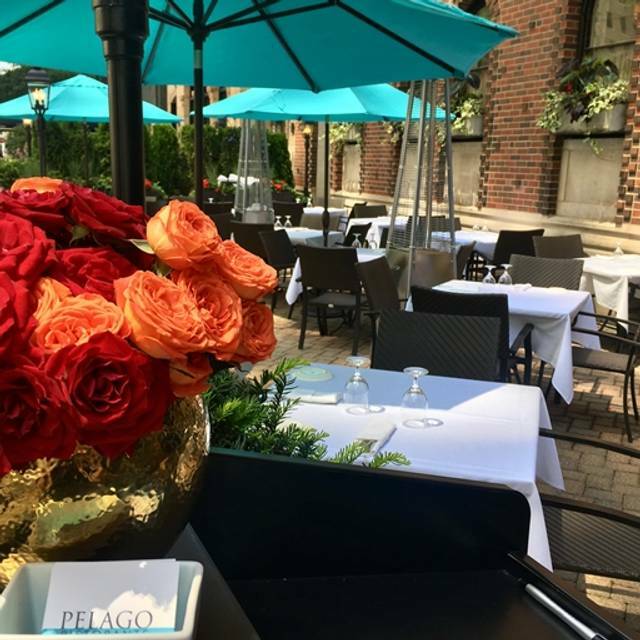 Discounted valet price for 3 hours for guests dining at Pelago. 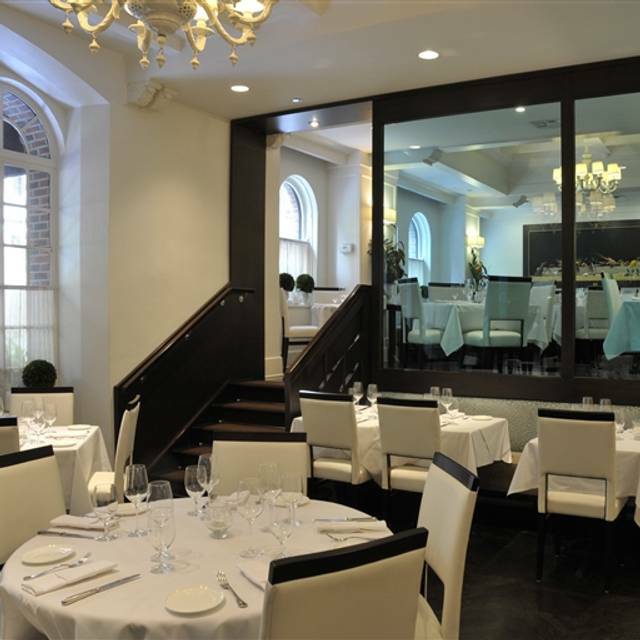 Please contact us at info@pelagorestaurant.com for detailed information on how we can assist with your semi-private or private dining needs. Mauro Mafrici is a Michelin starred Italian chef who has worked in some of the greatest international kitchens and luxury resort hotels of the world. His long resume of prestigious experiences in revered establishments culminated in the opening of his own critically acclaimed restaurant, Lo Scalco, in New York City which earned a coveted Michelin star in its first year open. 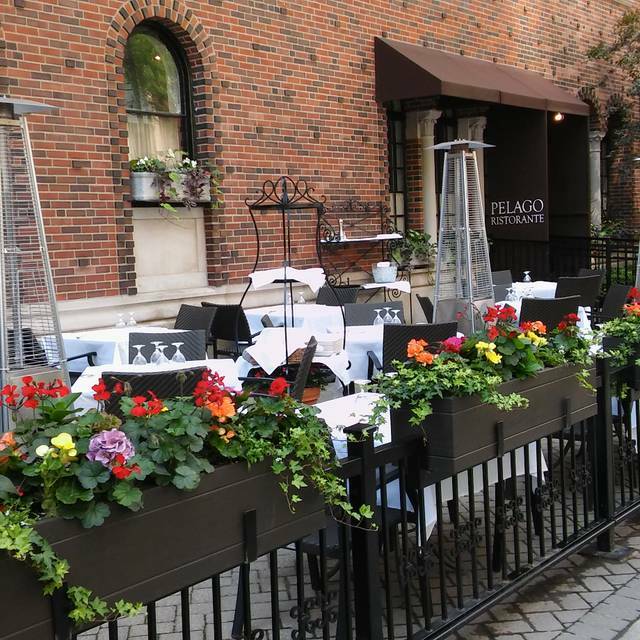 Mauro has now brought his talents to Chicago with PELAGO. 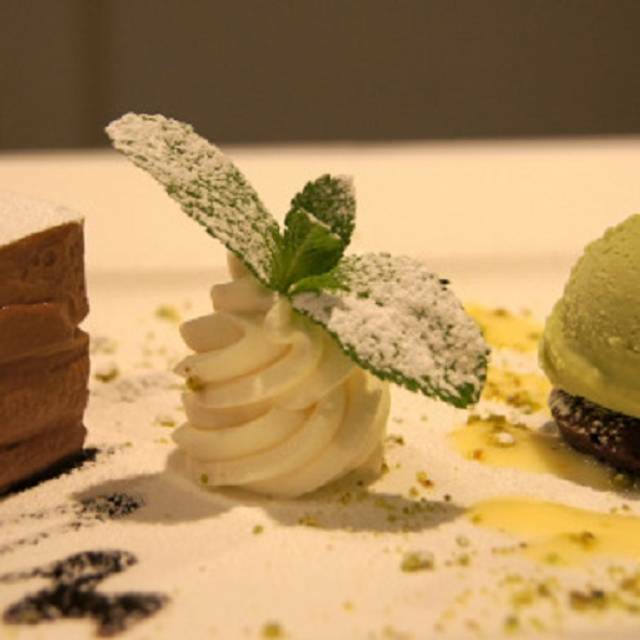 The basis of Mauro’s cuisine is “sapori veri’: true, honest, genuine flavors used masterfully to create new sensations, forms and colors. Fresh seasonal ingredients from Italian and local sources will tantalize every taste bud as Mauro allows each bite to speak for itself in a clean, straightforward flavorful vocabulary. With each endeavor Mauro continues to look for new ways to incorporate regional Italian ingredients as he redefines Italian cooking. Insalata Cappucina con Salsa di Alici, Peperoni e Olive Nere "Nerone"
Roasted Organic Pork Chop with Herbs and Vegetables "My Nonna Style"
We eat there often, the food is wonderful but the great thing about pelago is how welcoming they are. Every customer is treated like a much valued regular customer. By far the friendliest staff and chef of any restaurant where we eat. Service was appalling. Made to feel unwelcome. The food, service and choices in wine were excellent. We always have the assortment of four homemade pastas as a starter. You cannot go wrong. I highly recommend this trattoria. The staff was incredible and very attentive. They explained everything well and made our experience memorable. My wife and I both enjoyed our dishes immensely. I had the mozzarella ball appetizer with an octopus risotto and my wife had the grilled octopus appetizer and the grilled lamb chops with fresh herbs. The food was fabulous. We didn’t have any of the pasta dishes on this visit, but I have before and their pasta is all freshly prepared and worth trying. Thanks for a wonderful evening. One of the best restaurants I’ve been in Chicago. The food is extraordinary and the service outstanding. Everybody is really nice, in particular Alfredo. Incredible service. Perfectly portioned melt-in-your-mouth pasta. Favorite hidden gem in Chicago. 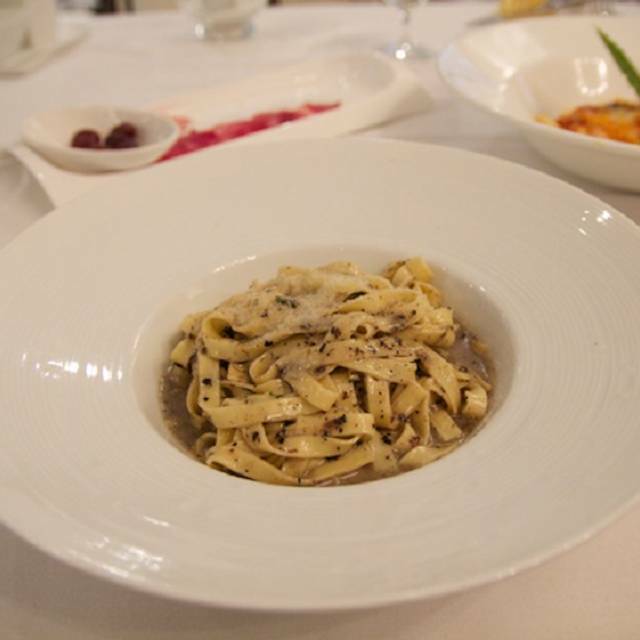 Great truffle fettuccine. Perfect options, very attentive. Fantastic! Everyone made the night wonderful! Lovely evening from cocktails to desserts. Service on point but not hovering. Our Guests were experiencing Pelago for the first time, and we were all pleased with the outstanding food and beautiful wines & attentive service. Disappointing. I really wanted to like the weak overpriced drinks, under cooked risotto, and toughest steaks in the city. Far too many other great options in Chicago to recommend this Pelago #neveragain. Atmosphere was really classy, staff awkwardly loomed around like the villains in an action movie, the bread was on point tho. Crisp and clean ambiance. Meal was great but outrageously overpriced. Server asked if we wanted another bottle of wine and 10 minutes after he served it was hovering over us to leave. So we left ... with a lot of expensive wine on the table. That was disappointing. 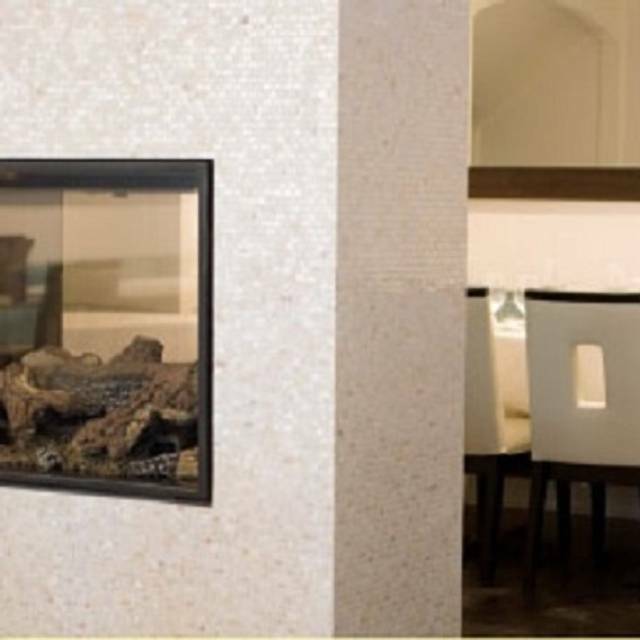 Sophisticated, classic modern ambiance. Attentive staff. Excellent Italian food. 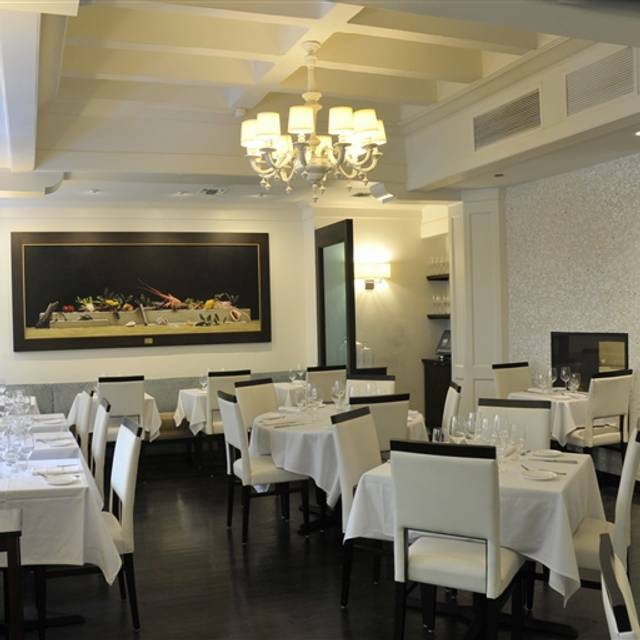 Fantastic food, service and ambiance. Top restaurant. Food was under cooked. Server didn’t get order correct. Drinks were over priced. Thus was our first experience there, and we were impressed on all aspects. We look forward to our next dining experience there. Pelago continues to amaze! The food is phenomenal and the team is as well. A not-to-miss! I highly recommend a visit to enjoy the food and ambiance! Just a normal experience. Nothing extraordinary. I have been so excited to meet an out of town friend here. To start with - we were seated in the front section of the restaurant - right by the hall to what I think was a hall to the kitchen. Not sure. I believe there was a door at the end of the hall to the alley - which was being opened constantly! This would send a huge blast of cold air into our area - and it was March in Chicago!!! It was FREEZING. I wonder why a restaurant which took such pains to mitigate the air from the front door -Enclosed awning front door plus an enclosed vestibule - would allow this. It honestly ruined the meal. On top of which - the food was just FINE. Good but not great - on a positive note - our waiter was lovely and very good - however, for the price I will not go back - especially because of the cold air. So disappointing. 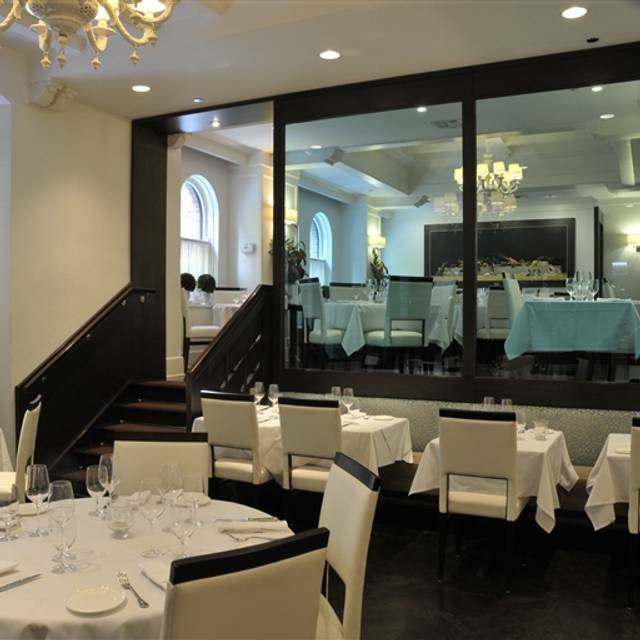 Fantastic food and service in an elegant but relaxing environment. I will definitely return. EXCELLENT. Can’t stress enough how good and fresh everything was. Service is the best I’ve ever encountered. Like we shared a few plates to try to taste many dishes and they would split the plates. Five stars. It was a magical dining experience from the moment we walked into the restaurant. The staff made my husband and I feel like we were the only people in the restaurant. The service was impeccable. We had the tasting menu for dinner which was outstanding. I especially loved the freshly made pasta and risotto. The desserts were amazing. Delicious! This place was just amazing!!! I can’t believe I had no tried it before. 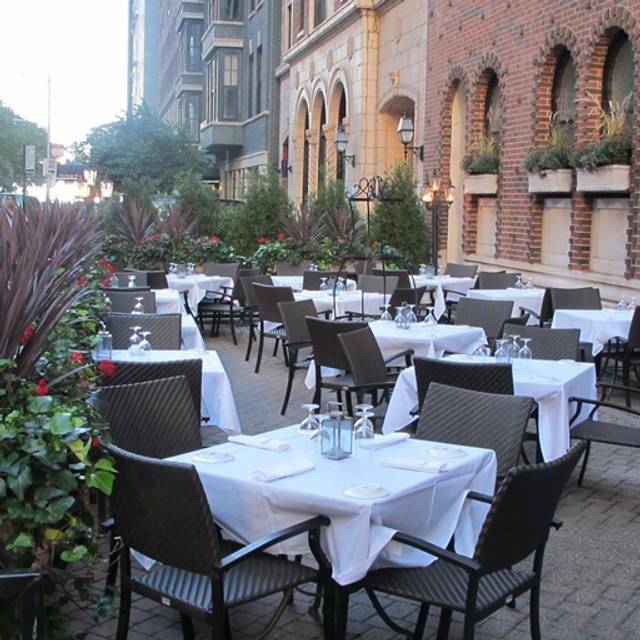 It is my new favorite Italian place in Chicago. Everything was just perfect. The hostess was very kind to help us with the valet parking. The chef/owner was actually present at the restaurant and welcoming guests. The staff could not have been more attentive. And, the food was just incredibly delicious!!! We came for my cousin’s birthday and it was just perfect. I would definitely come back again and I highly recommend it. Excellent food and wonderful service. I would definitely recommend. When we checked in, we were sternly told that the chef does not approve of coats being on the back of chairs. We were in a small back room packed tight with 4 tables, that was uncomfortably warm. The waiter was knowledgeable and helpful. The appetizers were small, and very pricey, although the prawns were good. My fresh mozzarella special was 3 quarter size balls wit a drop of balsamic vinegar for $20.00 My wife's salmon was dry, unseasoned, filled with a small amount of crab. There were 2 rolls for $48.00. My monkfish was cooked well, the prosciutto was crispy, but again the portions were small. The value was not there. We left hungry small portions, one dish with no seasoning and appetizer size. For a bill of $280.00 including tip, it was outrageous. There are so many more meals that are far less costly with much better food with more substantial portions. Ah, where is Le France when you want a good meal. This could not even compare. Best ravioli I’ve ever had! Went there for Valentines Day Dinner and it was a mistake. They were way too busy and as a result the service and food quality suffered. Even though we had a reservation, we were still made to wait at a make-shift bar out in the lobby. The bartender insisted on keeping our credit card while we had our drink, presumably so we wouldn’t skip payment - how insulting! Then we were jammed into a back table less than 2 ft away from the next table, so you could hear each other’s conversations - not exactly romantic. The food was good overall, but one dish we had (braised beef risotto) was too salty. The service was spotty and the server harried and not very attentive. Perhaps on a less busy day, this restaurant might have potential, but we felt our Valentine’s Day dinner was spoiled and definitely not good value ($200+). Wish we’d gone somewhere else! I liked Pelago a lot before the last visit. I ordered Osso Buco, the meat was dry and chewy. My friend ordered a salad and a soup, and she was rushed by the waiter to finish her salad as they wanted to serve a soup. Overall felt rushed and not welcomed. What an amazing experience ! The food was perfect and the staff very attentive. Consistently great food. Fantastic service and ambiance. Our waiter, Nicolas, was stellar. One of the few Chicago restaurants we go to multiple times. Exquisite food, with beautiful presentations. This is our one “must go to” when in Chicago. The pastas are meticulously sauced, and the mains have never disappointed. We’ve also been very impressed with consistency through the years. Great restaurant!